Retro style building with 12 service bays! WAITING AREA - Free Wi-Fi! Present coupon in advance.Not valid with other offers. repairs the first time, come see us . .
Pacific Car Care has been providing quality checkups and repairs at this special 90000 milestone for years. We know the difference exceptional 90000 mile service can make and our customers have learned that too. We offer professional, comprehensive 90,000 mile service for all makes and models. So when your vehicle reaches this milestone, call Pacific Car Care to schedule a 90000 serviceappointment. Your vehicle will reward you with increased performance, a longer lifespan and maintain its value. 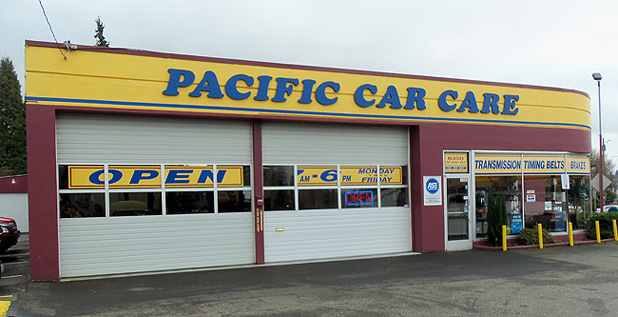 Pacific Car Care is successful because of our commitment to our customers. 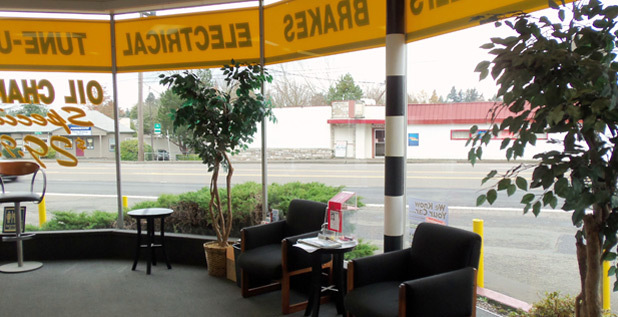 We appreciate the support and continue to uphold the values which have made our Portland customers loyal. 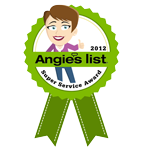 We strive to maintain our dedication to professionalism, customer service, and quality repairs. Call 503-293-7200 to schedule your appointment today.